The Tridan Model HEX Hexpander is a Horizontal Mechanical Expander which is designed for tension-type expansion of tubes within a heat transfer coil. 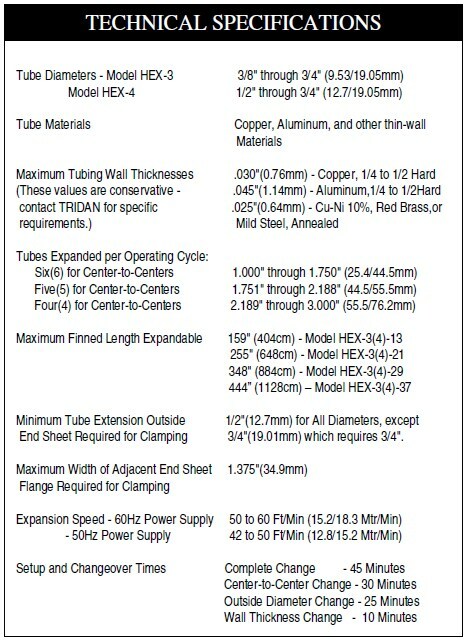 The Hexpander will process up to six tubes per cycle. productive output by four to five times that of the FLEXPANDER.